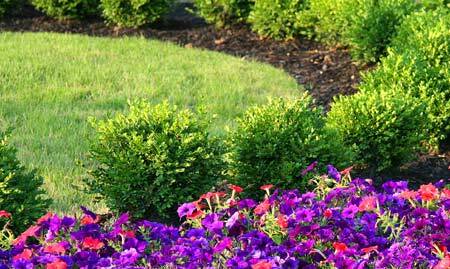 Lawn care is something most people have hands-on experience with at one time or another. Whether it was when you were a kid helping parents maintain the yard or maintaining your own turf as an adult we have all cut the grass. On the Outer Banks conditions make growing grass quite a bit more difficult. Isn't it time you let professional take care of it for you ? Most properties we provide lawn care for do not have irrigation and it may take a full season or two for lawns to get re-established . Atlantic Lawn offers unique programs geared to reinvigorating your old turf. 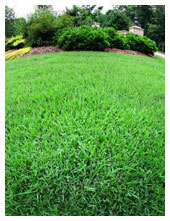 A blend of organic nutrients is used to top dress your lawn. Followed by careful spot spraying of persistent grassy weeds. Balanced fertilizers and micro nutrients will be applied throughout the season. Correct mowing practices will encourage spreading of stolons and rhizomes. Verticutting at the correct time followed by correct IPM will dramatically improve your Outer Banks lawn. Are you ready ? Call today for a free initial consultation to discuss your lawn maintenance and landscaping plans for the upcoming season. Some grasses spread rapidly by creeping stems (stolons). With these grasses it is entirely practicable to establish excellent lawns by planting small pieces of rootless and leafless stolons, tolons with roots and leaves, or by setting small pieces of turf close together, but still at fairly distant intervals to assure that when they begin to grow they will soon touch one another. Grasses that can be propagated in this way are chiefly subtropical sorts such as St. Augustine, Bermuda, Centipede, and Zoysia. Cool-climate creeping bent grass also lends itself to stolon planting, and some varieties of it can only be increased in this way. Many golf course putting greens are produced by planting bent grass stolons. Step one we chop the stolons into pieces 1/2" to an 1" long and scatter them over your prepared soil for seed sowing. We then make sure the area is firm and raked smooth before distributing the stolons. 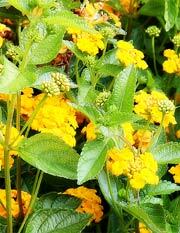 We sow them in a similar way as seeding, but not as thickly with pieces spaced about 1/2" apart. We use 1-1/2 bushels of chopped stolons for 1,000 square feet. Next we make sure they are distributed evenly and press them into the surface by rolling. A covering of fine soil/sand, 1/4" - 1/2" thick, over the stolons and roll again. We continue this until the whole planted surface is covered with soil. Then roll lightly. It is important to water a newly planted lawn in this manner often enough to keep the soil moist. I hope you see that this is a very labor intensive process and can be done by homeowners. Wouldn't you really prefer to have the professionals at Atlantic Lawn and Landscaping take care of your lawn renovation for you? When turf health continues to decline over time whether from neglect or drought, you may want to consider lawn renovation. On the Outer Banks we find many yards that have been neglected. Our sandy soil creates unique problems--when grass thins out, weeds move in!